Relieving Commandant and Vice Commandant Nominees Announced. WASHINGTON — Homeland Security Secretary Kristjen M. Nielsen announced the nomination by President Donald J. Trump of Vice Adm. Karl L. Schultz to be the 26th Commandant of the U.S. Coast Guard Thursday. Vice Adm. Schultz, the commander of the Coast Guard’s Atlantic Area, currently serves as the operational commander for all Coast Guard missions from the Rocky Mountains to the Arabian Gulf, spanning across five Coast Guard Districts and 40 states. Pending confirmation, he is expected to relieve Commandant of the Coast Guard Admiral Paul F. Zukunft in a change of command ceremony June 1, 2018, in Washington, D.C. Adm. Zukunft will retire following the change of command this summer. “Vice Adm. Schultz will provide the sound leadership and steady hand needed to guide our global military service further into this dynamic and extraordinary era of our Nation,” said Adm. Zukunft. 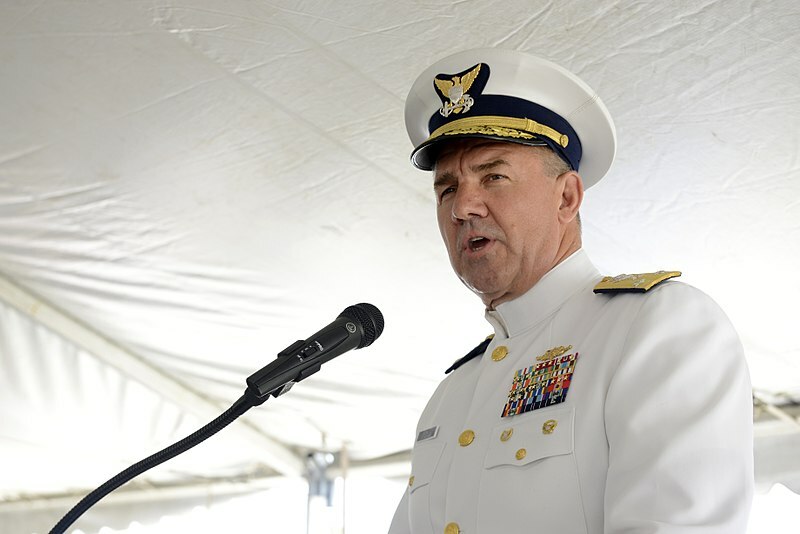 Vice Adm. Schultz has selected and the president has nominated Vice Adm. Charles W. Ray, the current Deputy Commandant for Operations, as the Coast Guard’s 31st Vice Commandant. Pending confirmation, Vice Adm. Ray will relieve Adm. Charles D. Michel in a change of watch ceremony May 24, 2018, in Washington, D.C. Adm. Michel, the Coast Guard’s first four-star Vice Commandant, will retire following the change of watch. Vice Admiral Schultz assumed the duties of Commander, Coast Guard Atlantic Area on August 4, 2016. He serves as the operational commander for all Coast Guard missions from the Rocky Mountains to the Arabian Gulf, spanning across five Coast Guard Districts and 40 states. In addition to his duties at Atlantic Area, he serves as Commander, Coast Guard Defense Force East, which provides Coast Guard mission support to the Department of Defense and Combatant Commanders. He concurrently serves as Director, DHS Joint Task Force – East, responsible for achieving the objectives of the DHS Southern Border and Approaches Campaign Plan throughout his Joint Operating Area, which covers the Caribbean Ocean and Eastern Pacific Region and Central America. Vice Admiral Schultz reports to the Atlantic Area having recently served as Director of Operations (J3), U.S. Southern Command in Doral, Florida, where he directed joint service military operations across the Caribbean Basin, Central and South America. Prior flag officer assignments were Commander, Eleventh Coast Guard District, where he was responsible for multi-mission operations from California to Peru, and Director of Governmental and Public Affairs at Coast Guard Headquarters in Washington, D.C., where he was responsible for external engagement with Congress, the media, and inter-governmental entities. Previous operational assignments include Sector Command in Miami, as well as command tours aboard Cutters VENTUROUS, ACACIA and FARALLON. Staff assignments include Chief of the Office of Congressional and Governmental Affairs; Congressional Liaison Officer to the U.S. House of Representatives; Liaison Officer to the U.S. Department of State, Bureau for International Narcotics and Law Enforcement Affairs; Assignment Officer at the Coast Guard Personnel Command, and Command Duty Officer in the Seventh Coast Guard District Operations Center in Miami. Vice Admiral Schultz is a native of East Hartford, Connecticut and a 1983 Coast Guard Academy graduate, earning a Bachelor of Science degree in Civil Engineering. In 1992, he was awarded a Master’s Degree in Public Administration from the University of Connecticut, and in 2006 completed a one year National Security Fellowship at Harvard University’s Kennedy School of Government. His personal awards include the Defense Superior Service Medal, four Legions of Merit, four Meritorious Service Medals, three Coast Guard Commendation medals, two Coast Guard Achievement Medals, and various other personal and unit awards. 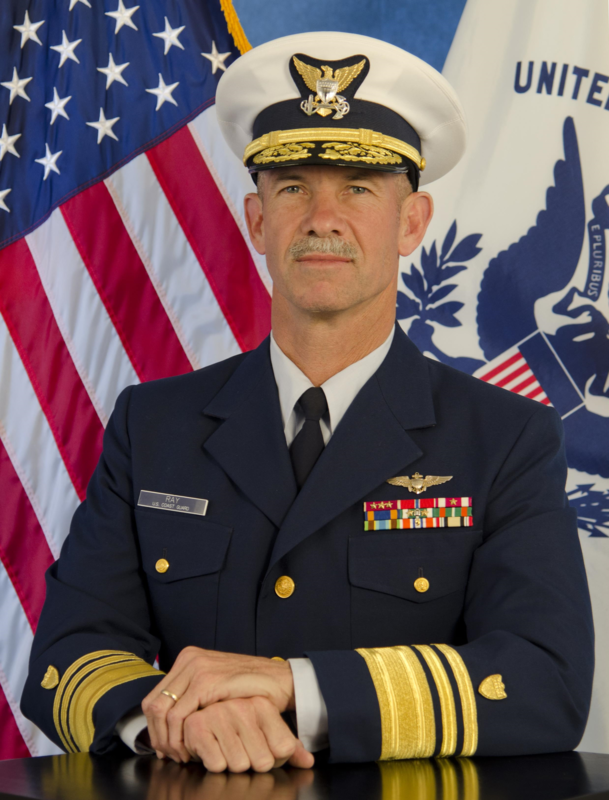 Vice Admiral Charles W. Ray assumed the duties of the Coast Guard Deputy Commandant for Operations in August 2016. In this capacity, he is responsible for the development of operational strategy, policy, guidance, and resources that address national priorities. This oversight of Coast Guard missions, programs, and services includes: intelligence; international affairs; cyber; the maritime transportation system; commercial regulations and inspections; search and rescue; maritime security; law enforcement; defense operations; environmental response; contingency planning; and the operational capabilities of cutter, boat, aviation, shore, and deployable specialized forces. Vice Admiral Ray’s previous Flag Assignment was as the Pacific Area Commander. Prior to that he held Flag Assignments as the Deputy Pacific Area Commander, the Fourteenth Coast Guard District Commander, service with U.S. Forces Iraq as Director of the Iraq Training and Advisory Mission for the Ministry of Interior, and as the Military Advisor to the Secretary of the Department Homeland Security. Vice Admiral Ray is from Newport, Arkansas, and is a 1981 graduate of the Coast Guard Academy. After an assignment as a deck watch officer aboard Coast Guard Cutter ACUSHNET (WMEC167), he was selected for Naval Flight Training and earned his wings in 1984. Vice Admiral Ray has served at six Coast Guard Air Stations from Alaska to the Caribbean. He was designated an Aeronautical Engineer in 1988 and has served as Engineering Officer at three stations and at the Aviation Logistics Center as the Program Manager for the development of the Coast Guard’s Aviation Logistics Management System. He commanded Coast Guard Air Station Borinquen, Puerto Rico from 2002 through 2005. During the course of his career he accumulated over 5,000 hours of helicopter flight time. Vice Admiral Ray’s staff assignments include a tour as Chief of the Office of Performance Management at Coast Guard Headquarters followed by a tour as the Chief of Staff of the Fourteenth Coast Guard District. Vice Admiral Ray earned a Master of Science Degree in Industrial Administration from Purdue University and a Master of Science Degree in National Resource Strategy from the Industrial College of the Armed Forces in Washington, D.C.
Vice Admiral Ray’s personal awards include the Coast Guard Distinguished Service Medal, five Legion of Merit Medals, one Bronze Star Medal, two Meritorious Service Medals, one Coast Guard Air Medal, three Coast Guard Commendation Medals, and the Coast Guard Achievement Medal.